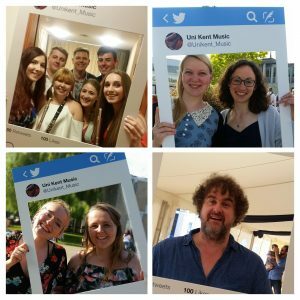 Breathing Space with the University Chamber Choir | Music Matters | Because it does. Doesn't it ? There’s an opportunity to escape the hurly-burly of modern life into a sequence of music and silence on Friday 23 February, as the University Chamber Choir travels out to the village of Hernhill, near Faversham, as part of a series of Breathing Space events. 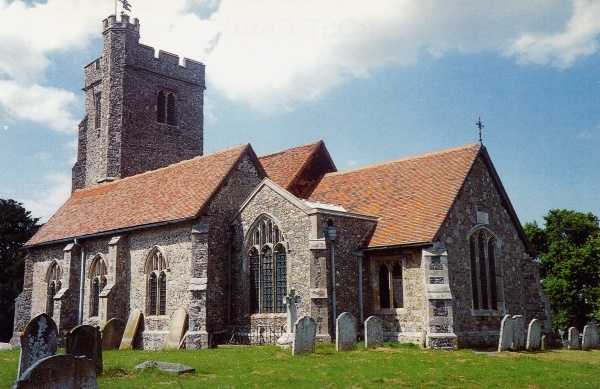 Hosted by the church of St Michael’s, the hour-long event affords an opportunity to experience a rare moment of peace and tranquility in a candlelit, fifteenth-century church. Breathing Space is a series of contemplative services during the dark hours of winter days, during which the church is mainly in darkness with some candlelight. 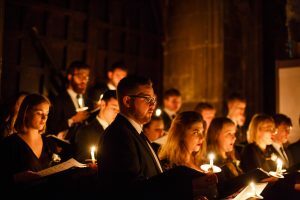 The event at 7.30pm comprises a sequence of music, interwoven with periods of silence, performed by the Chamber Choir; there will be no words, no instructions, no expectations; attenders simply find a seat and enjoy the atmosphere and peace, and may leave whenever they wish – a short prayer is spoken at the close. It’s open to all – whether a regular churchgoer, someone who has never set foot in a church, of whatever faith (or none) as part of the church’s well-being programme. The Chamber Choir, conducted by Your Loyal Correspondent and second-year assistant conductor, Matthew Cooke, will perform suitably meditative music by Tallis, Rachmaninov, Paul Mealor, Russell Hepplewhite, Sarah Rimkus and Will Todd. The event is free to attend; the church recommends bringing a torch in order to navigate entering the church for the event and at the close as it will be dark. Find the church online here. Is the map link to the church pointing to the correct church? Ah, thank you Greg, will amend; nice to see we have at least one reader!